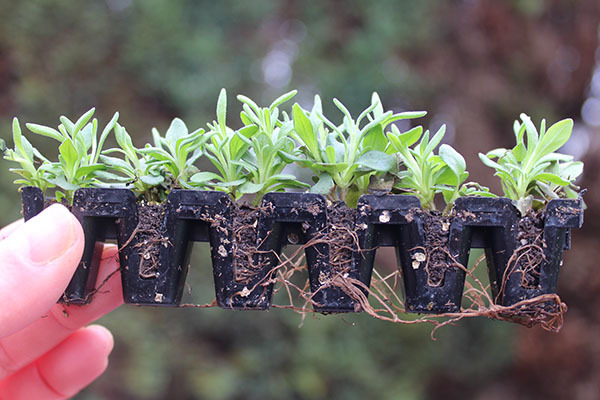 Plug plants are a terrific way of adding variety to your garden without the hassle of raising everything from seed or spending a fortune on full-grown plants. 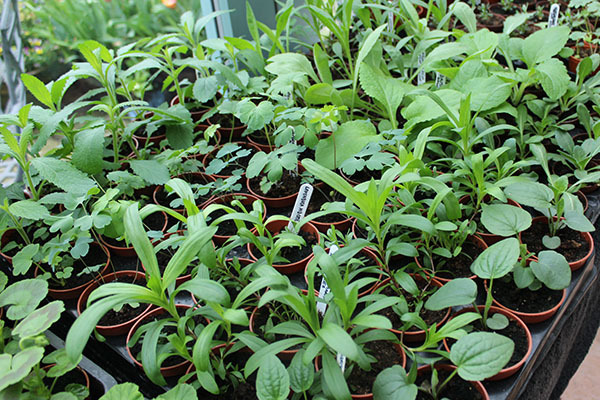 This year I made the most of a couple of early offers from online plant retailers (in one case, 72 perennial plants for the cost of postage and packing only! ), and have been ferociously potting ever since. Make sure you buy from a reputable supplier so that the plants turn up in good condition. They should have a strong root system and at least one or two viable leaves (they are bound to get a bit bashed about in the post). 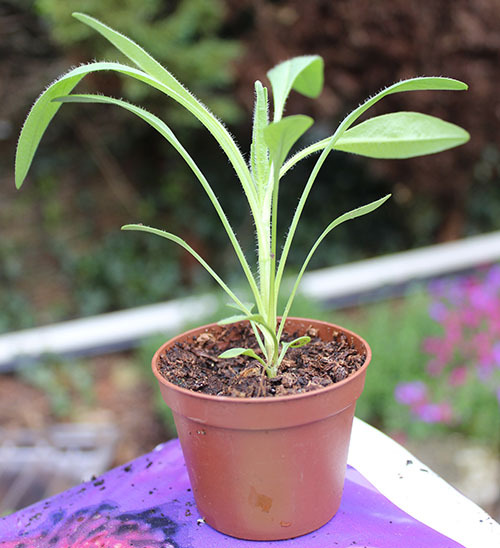 Unpack the plants as soon as they arrive to give them light, and keep the roots moist until you are ready to pot them on (as soon as you can). 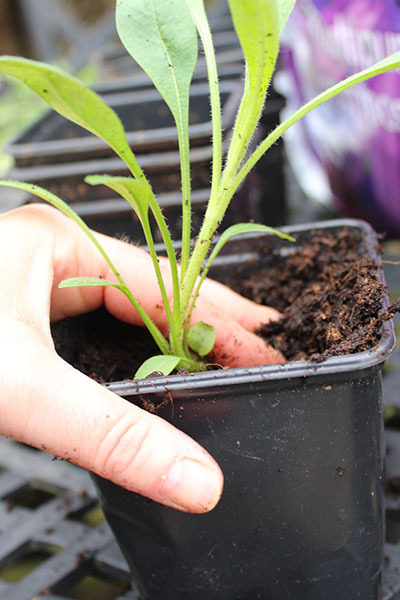 For plants with incredibly tiny seeds (such as Coreopsis) you often find there is more than one seedling growing in the plug, as the growers dump several seeds into each small pocket of compost. If you have freakishly small nimble fingers (like me) then you can tease the plugs apart and make even more plants! 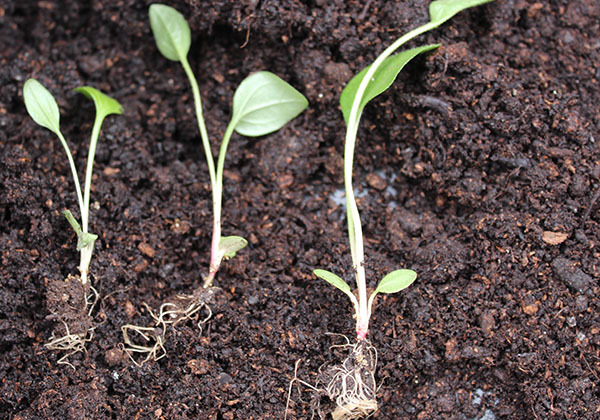 Transplant the seedlings into small pots of peat-free multipurpose compost, and within a couple of weeks you will have a small but healthy plant to pot on again. 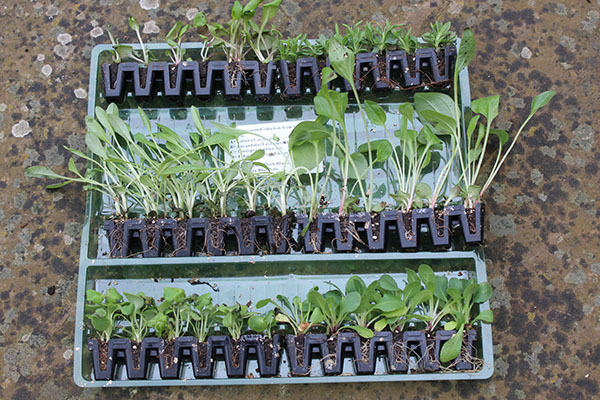 Pot seedlings into small pots. Place them in good light and keep them moist. Gradually work your way up to bigger pots. 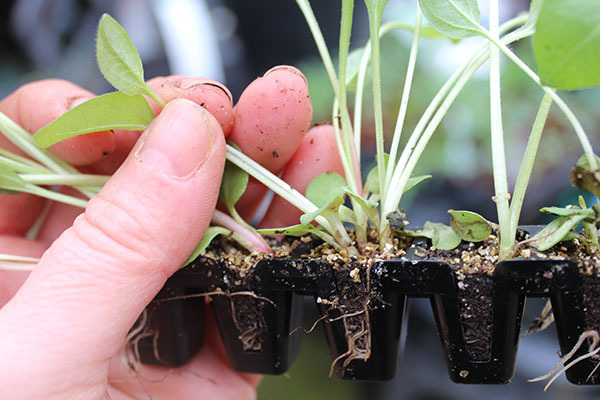 It is best to keep seedlings and small plug plants indoors or in a greenhouse until they are robust enough to harden them off in a cold frame. Remember to take anti-slug and -snail measures once you get them outside! Before you know it you will have a fabulous collection of young plants ready plug the gaps in your borders, or to fill pots and hanging baskets with summer colour.